With frigid temperatures affecting much of the U.S., OSHA is reminding employers to take precautions to protect workers from the dangers of carbon monoxide (CO) exposure. Each year, workers die from CO poisoning, usually while using fuel-burning equipment and tools in buildings or semi-enclosed spaces without adequate ventilation. Sources of carbon monoxide can include anything that uses combustion to operate, such as gas generators, floor buffers, compressors, pumps, welding equipment, space heaters, and furnaces. Symptoms of CO exposure can include headaches, dizziness, drowsiness, nausea, vomiting, or tightness across the chest. Severe CO poisoning can cause neurological damage, coma, and death. 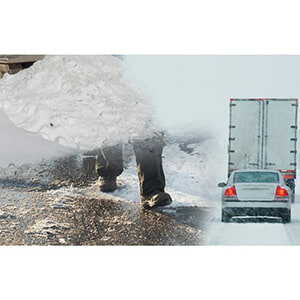 J. J. Keller's Winter Safety Online Training Course helps drivers stay safe while working or driving in snowy, icy, and extreme cold conditions.